I have been watching all the questions on gasoline for our cars. Which octane should I use, what engines use what rating. I have also had a lot of phone calls asking the same question. So I felt it was time to put this out so that people had a better understanding. Frankly, many people on this forum are looking for more power without spending a lot more for fuel. Sometimes using a lower octane fuel is preferred as long as you don't get detonation. We have to begin by understanding that all the horsepower our engines are ever going to produce is stored in the fuel that you use to produce it. 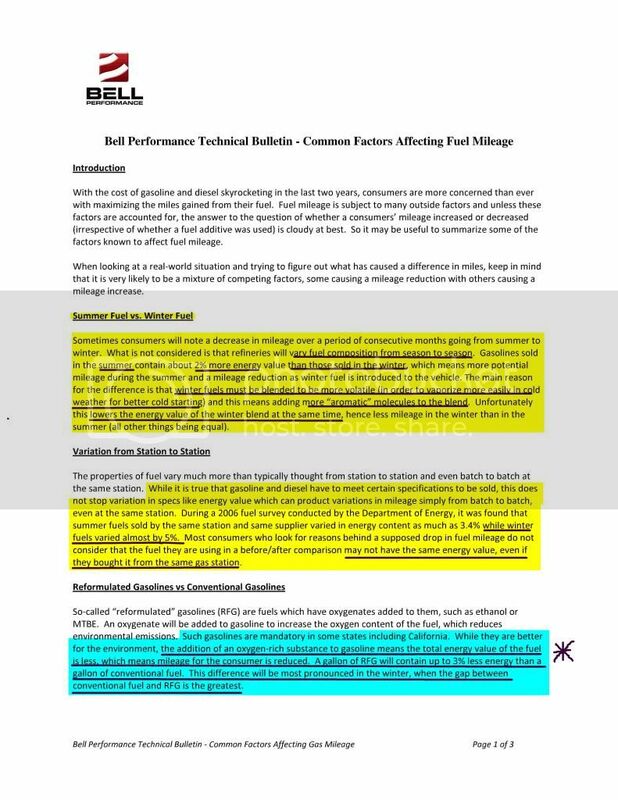 All other components including intakes, cams, valves, compression ratios, computer tunes etc all are dependent on appropriate fuel(and lubrication). It’s really that simple. The specific energy content of the air/fuel mixture and the length it burns is the key to power output. The more fuel energy your engine can EFFICIENTLY burn (read that utilize), the more power it will produce per given fuel charge. This is correct regardless of whether you are normally aspirated, turbocharged, or supercharged. Gross volume, air/fuel ratio, density of the fuel mixture, completeness of vaporization as opposed to atomization, initial flame speed and WHERE the burn originates how it swirls and when peak heat release is achieved. You’ll notice I didn’t mention the octane rating initially. The reason is that in and of itself, octane rating does nothing to improve power output! 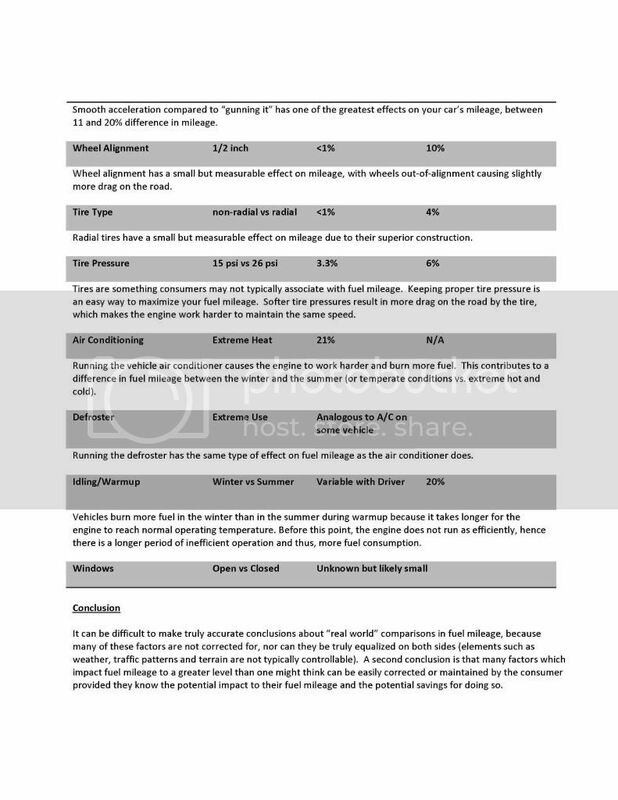 All octane rating does is measure the ability of a fuel to resist pre-ignition in a higher compression engine. Higher octane fuels allow the use of higher compression ratios, and THAT does produce more power. This is where the Diablo can pick up some power because the engine can be tuned much closer to the compression ratio and it's utilization factor. However, it is important to realize that certain tunes do not produce much more power and yet uses more fuel as coolant for the heads. Using ACES IV can advance the power even more while using a Diablo as the fuel will reach longer power peaks as long as it isn't hampered by too much fuel. While an octane rating does influence flame speed, so do some other factors. Vaporization...this is just what it sounds like: how well is the fuel/air mixture dispersed at the point of ignition. (As ACES IV promotes molecular fuel balancing, a much more vaporized dispersed pattern emerges) Incompletely atomized fuel burns more slowly and mostly will not burn completely. (This is another the reason for 2 plugs in the Hemi) It is important to look at your exhaust tips to see the condition of them internally. If they have a dusting of black that is fine. Solid black...too much fuel! The better job you can do in getting a uniform dispersion of fuel in the incoming air, the more completely it will burn and the more power you will create up to a limit. This is also where ACES IV promotes ignition from the inside out which produces more power release than an outside in configuration (typical gasoline burn w/o ACES IV). Oil is the operative word here and why. Remember that if it is distilled out of crude oil and not included in either gasoline, diesel fuel, or jet kerosine, then it isn't good for the fuels in general and should not be added. Gasoline, diesel fuel, and jet kerosine are the most expensive components and any refinery would love to make full barrels of these three with nothing left over. If the item is distilled out then it is not good for any of them. However, there are bottles of "petroleum distillate" additives available to put in fuels because essentially they have to get rid of them somewhere! Go to any Walmart or auto parts store and you will have shelves and shelves of them! One day I counted over 600 types. Flame speed is also pretty self-explanatory, but there are two sides to this coin. On one hand, the faster the fuel/air mixture burns, the higher expanding gas pressure will be and the longer the pressure wave will have to work on the piston before the exhaust port opens. However, since the ignition system is timed to fire before the piston reaches top-dead-center, some of that gas pressure will actually work AGAINST the piston as it completes the compression stroke. It is called “knock" in your regular car, but it's really pre-ignition and it can be really very destructive. It can literally chew the top of a piston away a little bit at a time. In less then a minute, at the RPMs that most street/strip engines run the top of the piston is gone and you're done. In extreme cases, pre-ignition can break pistons, and the damage that it can do is expensive. It is our contention that cooling the cylinder down with lubricity from ACES IV would keep pieces of valve guide from coming apart due to temps and lubricity cushioning them. Cracks occur from repeated pounding and over heating of the chamber. The density of the fuel/air mixture is the subject of a great deal of interest throughout the racing world. The cooler the charge of fuel and air going into the engine, the denser it will be. And the denser it is, the more potential energy there is in each incoming charge. Introducing more available oxygen and hydrogen with the fuel creates more power yet in the given space. Have a 6 cylinder breath as deeply as a V8, and it will produce the power of a V8. Have a smaller V8 breath deeper like a big V8 and it will produce the same power etc. Remember that all the horsepower you’re going to get is stored in that fuel and air (especially with ACES IV), so the denser a charge you can get into the engine, the better. Superchargers and turbochargers increase the charge density mechanically by compressing it, but that generates a lot of heat in the mixture before it ever gets into the cylinder. With ACES IV, lengthing the flame front and retarding peak heat release the fuel will resist pre-ignition better and allow you to lean the engine out more without damage. The heat reactive lubricity produced by the ACES IV will reduce ring and bore wear by some 600% while reducing stem and guide wear by some 360%. It also cushions intake and exhaust valve seats! Use of ACES IV in 87 Octane fuel has an ignition improver to help increase the octane effect (for low performance applications only, and not for high performance R/T and SRT8 use) smoother running and more mpg and less heat are produced. Using it in 89 octane (for R/T and stock SRT8 applications) produces a higher octane effect, and in 93 Octane fuel, effects of up to 102 Octane can be attained. Any base fuel, when treated, will help eliminate cylinder detonation and produce added power. I use 89 Shell or Marathon fuels and ACES IV at 1 oz per 6 gallons to use the 98 octane effect with smooth power and no detonation in HP applications in my 06 SRT8. This is what we used when we went to Akron Horsepower along with the 12.5w40 QuantumBlue Custom Blended Lubricants. Understanding the dynamics of how fuels work will help many people determine what is the next move, and how to get more power from your fuel effectively and why we designed the ACES IV. Over 2700 people now who own LX, LC, LD and WK bodies depend on ACES IV for power and protection in their cars. More Power, More Torque, Better MPGs - It's "Rocket Fuel For Your Car"
Custom Designed & Custom Blended "ALWAYS beats off the shelf brands"
Better cooling, better protection without all "The Gunk"
Brian, I understood to say, back when I first started using ACES IV, with a Preadator 93 octane w/ CAI I could use 87 octane and not have a problem. I read now you say to use 89 octane. Did this change with some sort of field testing? If i now use 89 octane will I get any performance gains? I really don't have the time to do any data logging with the Predator. I tried 87 octane with ACES IV on the 93 tune and I was getting knock. I had to forget about that setup. Thread is here. I now run 91 octane with ACES IV on the 93 tune and it's been very gratifying so far. I think 89 octane would be a minimum for that setup. The 87 is fine if you are not doing performance driving......ie 300 mile trip to family members etc. 89 if you are doing performance driving. Also especially important when winter fuel comes back middle of September through 1st of May. Just part of the world we live in now etc. teltran, that post was centered aroung an SE with, what a 10:1 compression? What is the compresssion of the 5.7 motor. I told the wife to try running 89 at her next fill up. If the 5.7l has lower compression than the 3.5l I may possibly be able to run the 87 octance. Brian said to use 89 so I will try it. The wife (and me) do have a habit of driving, hmm how can i say it.... like we stole it. I found that I got more mpg with 89 octane, ACES IV, with 91 tune. I don't feel any real loss in power, when I was running 93 octane, ACES IV, with 93 tune. When I don't have ACES IV, I use to go back to 93 octane, with 93 tune and got less mpg and lacking response. Now when I'm out of ACES IV, I use 89 octane and still on 91 tune and feel the slight loss in response, but still a little better mpg over the 93/tune. As Brian mentioned, I feel the overall difference with summer/winter gas. It all changes when going to winter gas and effects my response overall, but much better when using ACES IV. Only problem, hard to live without ACES IV. Last edited by BOSChargerRT; 08-25-2011 at 04:44 PM. What's the difference between winter and summer fuel? During the summer, pollution is a frequent concern due to increased levels of smog and ozone, which can harm the lungs. Summer heat boosts the formation of ozone, while the appearance of an inversion layer -- an immobile layer of air -- can trap pollutants in the lower atmosphere source: EPA. Summer-grade fuel has a different Reid Vapor Pressure (RVP) than winter-grade fuel, which contributes to its being (marginally) more eco-friendly. RVP is the vapor pressure of gasoline measured at 100 degrees Fahrenheit. Fuels with higher RVP evaporate more easily than those with lower RVP. A particular fuel blend's RVP is based on the combined RVP of the ingredients that make up the blend. Regulators worry about this evaporation because it contributes to ozone formation. Gasoline must have an RVP below 14.7 PSI (pounds per square inch), which is normal atmospheric pressure; if a fuel's RVP were greater than 14.7 PSI, excess pressure would build up in the gas tank, and the fuel could boil and evaporate. Depending on the part of the country, the EPA's standards mandate an RVP below 9.0 PSI or 7.8 PSI for summer-grade fuel. Some local regulations call for stricter standards. Because of these varying RVP standards, up to 20 different types of boutique fuel blends are sold throughout the U.S. during the summer [Source: Slate]. Because of the way winter and summer fuels react under different atmospheric pressures, particularly in terms of evaporation, it's important to use summer and winter fuels during their respective seasons. Fuel that's stored out of season can evaporate. Because RVP standards are higher during the winter, winter-grade fuel uses more butane, with its high RVP of 52 PSI, as an additive. Butane is inexpensive and plentiful, contributing to lower prices. Summer-grade fuel might still use butane, but in lower quantities -- around 2 percent of a blend [Source: The Oil Drum]. We know that gas prices go up during the summer, generally around Memorial Day, but when do companies start producing these different summer fuels? The EPA defines April to June as the "transition season" for fuel production [Source: EPA]. Refineries switch over to summer-blend production in March and April [Source: EPA]. Gas stations have by June 1 to switch to selling summer-grade gas, while terminals and other facilities "upstream" from pumping stations have to switch by May 1 [Source: EPA]. Following the summer driving season, companies switch back to winter blends beginning in September, with the first winter increase in RVP allowance occurring on Sep. 15. In a 2001 report, the EPA claimed that "roughly 75 million Americans breathe cleaner air today due to [the seasonal fuel] program" [Source: EPA]. Still, the increased price, combined with the use of controversial additives like ethanol (which is less energy efficient than gasoline and produces more smog) and methyl tertiary butyl ether (MTBE), means that the program may still have its detractors. Last edited by 370 HEMI; 08-26-2011 at 06:22 AM. Thanks Brian, very informative, as usual! Truth dispells all lies. 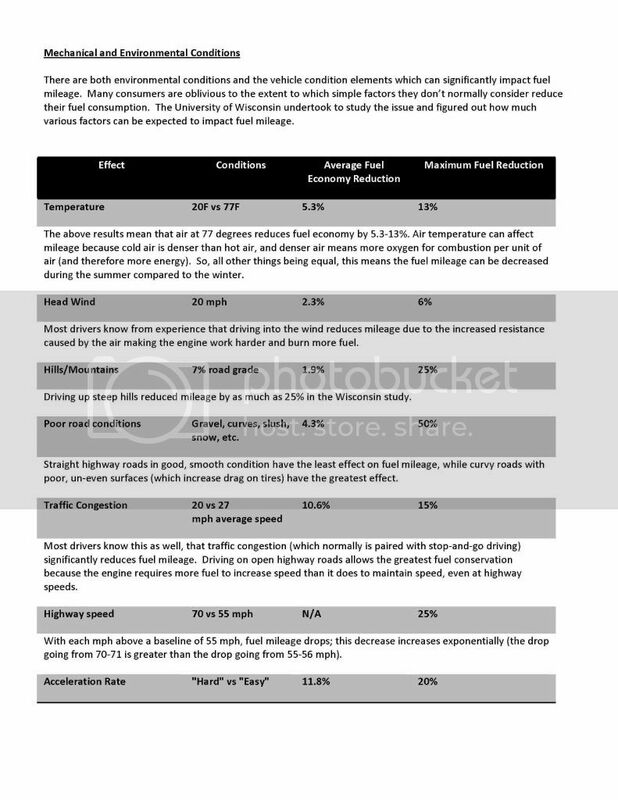 These are the factors necessary to determine fuel economy and differences. The more variables that we can take out of the equation, the more we can ascertain what is causing our results.